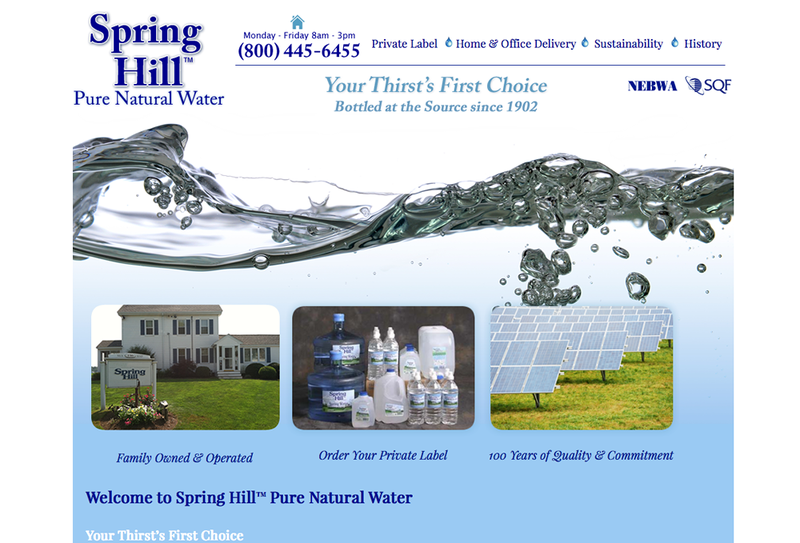 Spring Hill Pure Natural Water is fast becoming the favorite among ecologically conscious consumers and supermarkets, wholesale grocers, dairies and others requiring quality, reliable private label bottle water products. Everyone appreciates that Spring Hill Pure Natural Water exceeds the toughest quality standards and offers a purity and crispness one can taste. Most sizes of Spring Hill’s bottled water come from the company’s exclusively controlled source. Water is bottled on the spot using state-of-the-art facilities. In fact, no other entity is allowed to withdraw from this source. Excellence is preserved and maintained since no tanker trucks or other intermediate transfer mediums are used.